Gemology or gemology is the science of gemstones. Gemology is a Geoscience and it is a branch of mineralogy. Gemology finds wide-scale application in Jewelry as Gemstone identification and evaluation requires accurate knowledge of gemology. There is a great dearth of skilled Gemologist to identify and evaluate the gemstones and studded jewelry. This has made gemology a great career choice. Jewelry industry offers great opportunities to the starters and gemology paves the most feasible gateway to enter the jewelry industry. As the Jewelry sector is getting more organized, there is great demand for skilled gemologist. 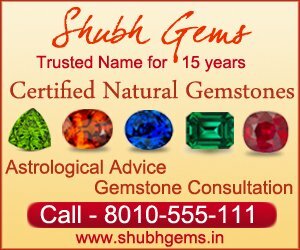 What are the possible career options for a Gemologist? A Gemologist can make a great entrepreneur in Jewelry Business. Jewelry companies require gemologists in their Purchase, Designing and Sales department. 3. Skilled Gemologists can be great Jewelry Designer with their knowledge of gemstones, their budgeting and making-techniques. Gemologist can conduct gemology training to impart gemology education. 5. Gemologists are best qualified to be a Jewelry Valuer. Gemologist can start their Gem Laboratories or can get pla ced in testing Laboratory. How is Jewelry Designing and Gemology related to each other? It is presumed that jewelry designing requires good sketching skills. However, It is a wrong belief. Jewelry Designing is much like engineering which requires close control on Aesthetics, Durability, Feasibility and Most importantly ‘customer’s budget’. To be a successful Jewlery Designer one must be well aware of its raw materials – Gold, other metals, Diamond and Gemstones. Metals have fixed standards for quality and price. However, Selection of Diamond and gemstones requires precise knowledge. Knowledge about price of Diamonds and gemstones is required to design a jewelry piece as per budget. This is where gemology plays critical role. A jewelry Designing requires knowledge of gemology. A gemologist is well-qualified to be a jewelry designer, But vice-versa is not true. GJI offers Professional short-term courses in gemology. These courses are highly market-oriented and focus on practical training. Does it require any jewelry Background to be a Gemologist? You can start afresh with Gemology. It only requires your interest. Many professional from IT sector or Educational Sector and Government sector who does not have any background of jewellery sector, are starting their career as gemologist and jewelry Designer.